Realme, the smartphone brand that specializes in providing high quality products for youth, is all primed and geared for the upcoming festive season. The young smartphone brand will be opening sales for the recently launched Realme 2 Pro and Realme C1, on October 11, exclusively on Flipkart during the Big Billion Days. Realme 2 with Diamond Blue edition will also be available for sale during that period on Flipkart. The Big Billion Day comes with a flat 10% discount on Realme 2 and Realme 2 Pro on HDFC Bank Credit and Debit cards. The only brand to have a Notch Full display, Dual Camera and a big 6.2” plus screen across all products in mid-range and budget segments, Realme offers best features at every price point; starting with Realme C1, the “Mega Battery”, “Mega Notch Screen” fashionable and trendy smartphone under 7K, the best all-rounder, Realme 2 at under 10K and the best mid range segment phone Realme 2 Pro with ‘Max Power, Max Style’ proposition. Realme 2, a customer favorite and top rated phone with the highest 4.5 ratings on Flipkart with over 80K comments, will have its much sought Diamond Blue edition on sale at 00:00 Hours (October 10 midnight) on October 11. Realme 2 is an elegant device with the shiniest diamond cut design and the first full notch screen device under the sub 10K category in India with exciting features like AI dual camera and big 4230mah battery. With the 10% discount, now people can get their own Realme 2 starting from INR 8091/-. 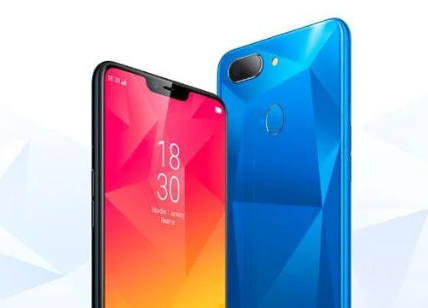 Realme 2 Pro, the brand’s flagship of the year, is set to become a benchmark in the mid-range segment owing to its ‘Max Power, Max Style’ proposition. The device carries a formidable Snapdragon 660 AIE processor and comes in three variants; 4 GB RAM + 64 GB ROM at INR 13,990/-, 6GB RAM + 64 GB ROM at INR 15,990/- and 8GB RAM + 128GB ROM at INR 17,990/-. Realme 2 Pro, with a super large and marvelous view, 6.3-inch Dewdrop Full Screen and the highest screen-to-body ratio of 90.8% in its segment, will be exclusively available on Flipkart from October 11, at 00:00 Hours (October 10 midnight) onwards. The phone will be available in three trendy new colors- Blue Ocean, Black Sea and Ice Lake. All Realme phones will come with a complete mobile protection only at INR 99/- during the Big Billion Days sale. The phones come with a No Cost EMI offers and a 10% discount on Realme 2 and Realme 2 Pro for HDFC Bank Credit and Debit Cardholders.